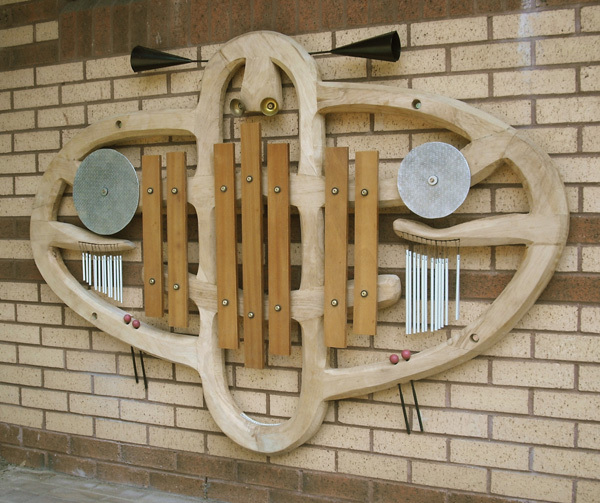 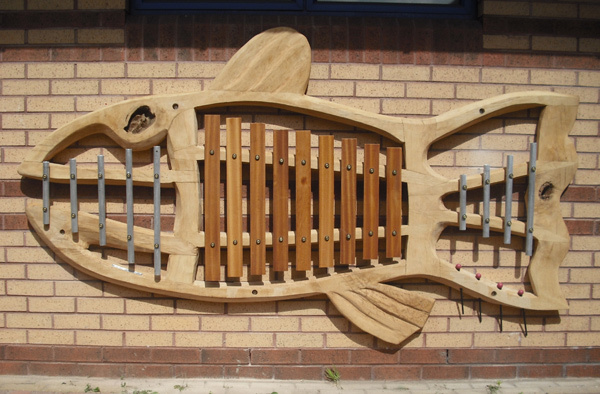 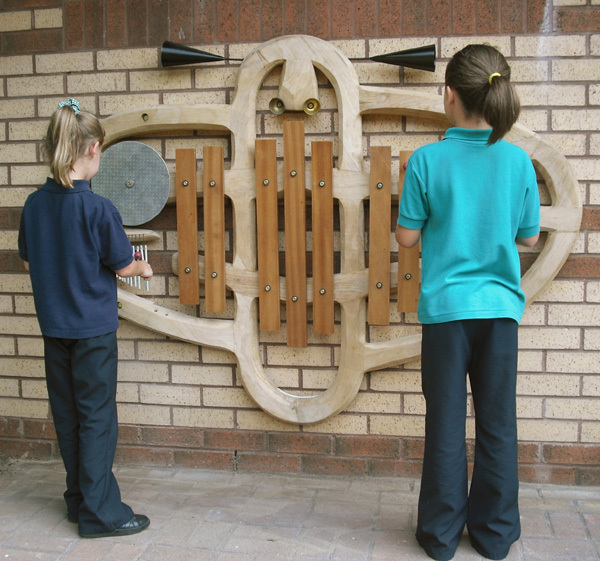 Outdoor musical instruments at Ysgol Gymraeg, Cas Newydd, Newport. 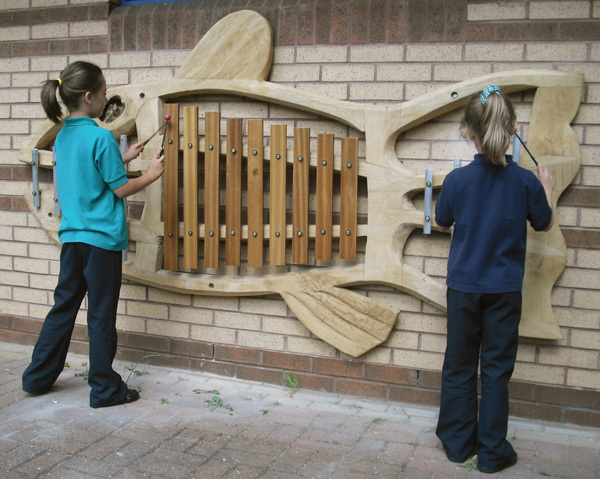 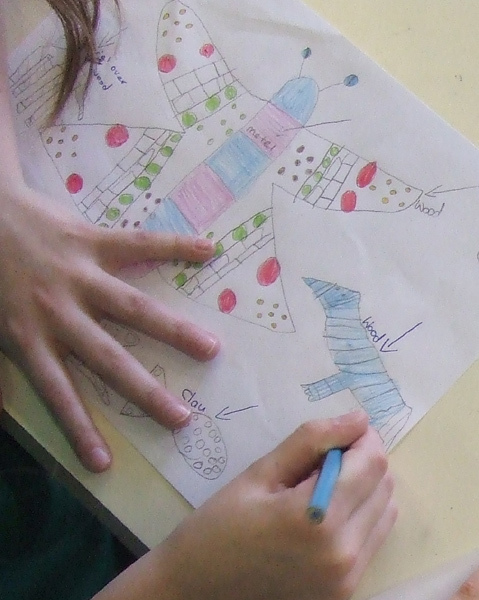 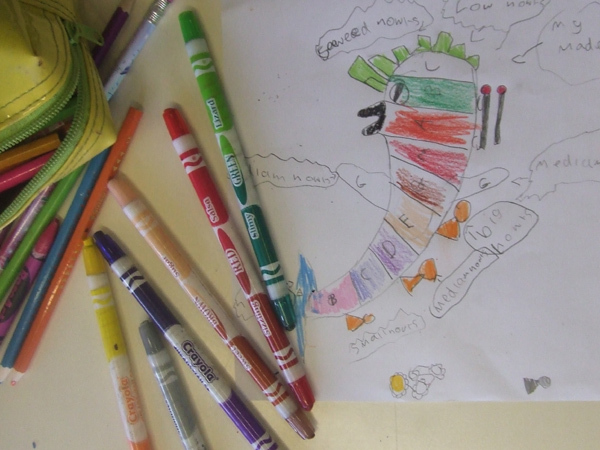 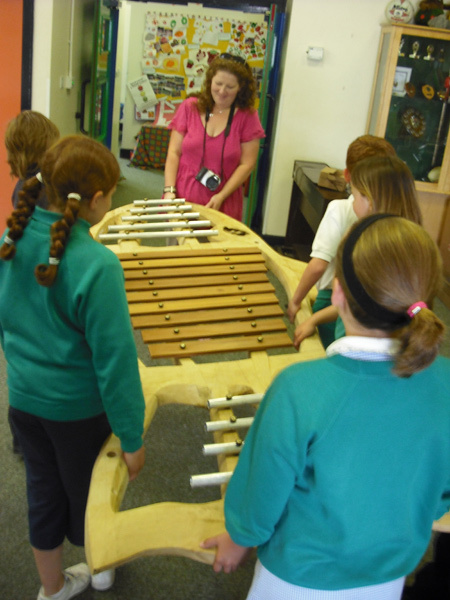 Year 4 children created designs incorporating chimes, wooden xylophones and a wide range of other things that make sounds. 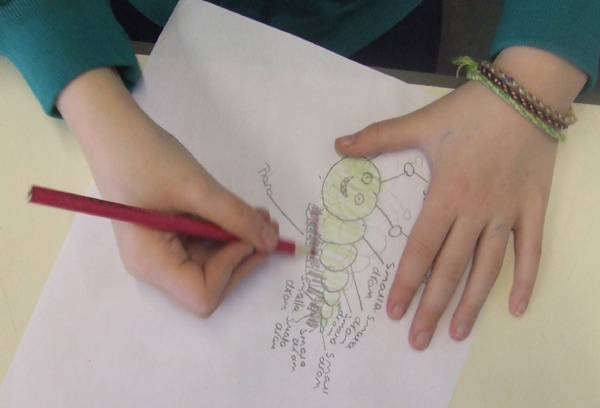 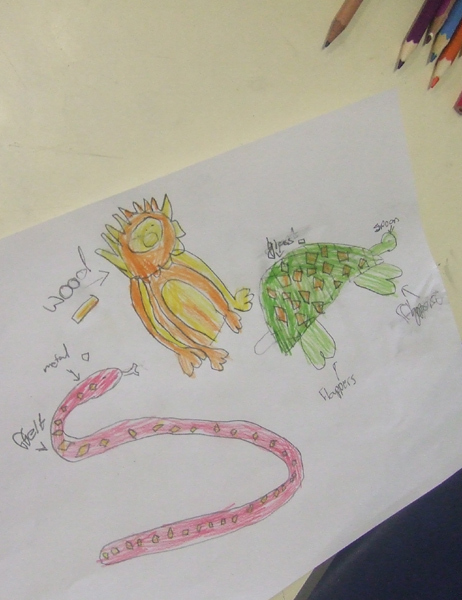 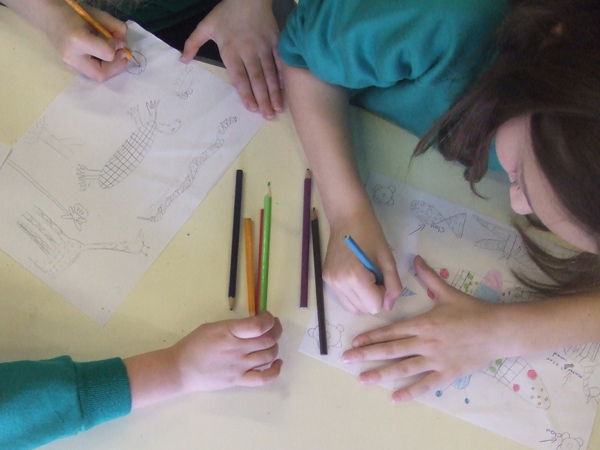 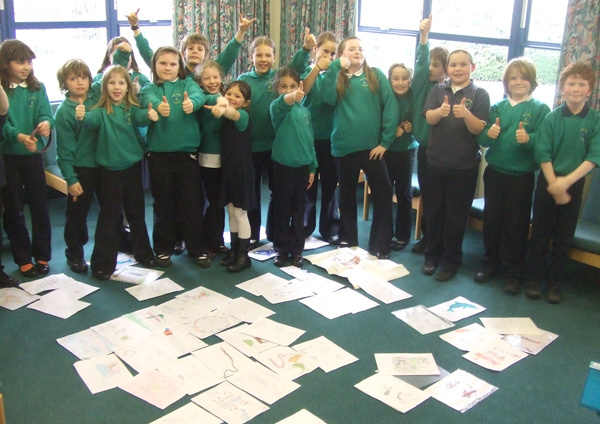 All these designs were then looked at and discussed (rigorously considering the merits and drawbacks of each design) by the school childrens' council and Eco council. 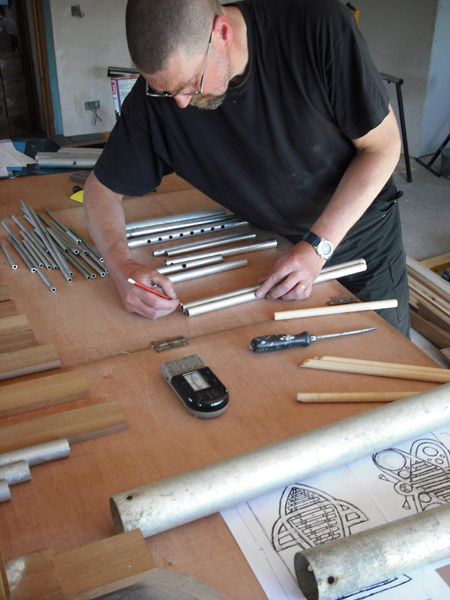 Ideas were finalised and Robert went back to the studio to realise the instruments.